Simon Little is a session bassist from London. 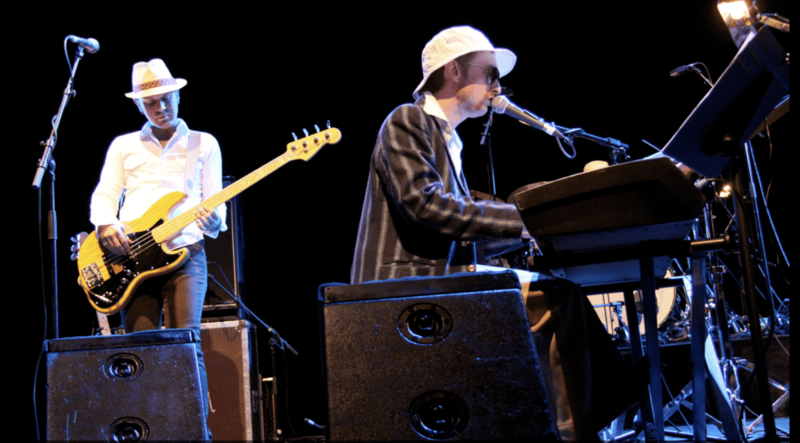 Best known as the bassist with The Divine Comedy, Clare Teal and Maggie Reilly, he also tours regularly with The Duckworth Lewis Method and Duke Special. Simon has also played and recorded with Nick Cave & Warren Ellis, A Girl Called Eddy, Juliet Lawson, Lea DeLaria, Ian Shaw, Nina Ferro, Chris Difford, Kurt Elling, Jamie Cullum, Liane Carroll, Beth Rowley, Ben Folds, Norma Winstone, Claire Martin, Pee Wee Ellis, Boo Hewerdine, Polly Gibbons, Newton Faulkner and The Ronnie Scott’s Allstars amongst others. Born in London, Simon started learning the double bass at school in Dorset with Barry Glynn. He went on to study at The Guildhall School of Music & Drama in London (1999-2003) receiving tuition from Kevin Rundell, Jeff Clyne and Steve Watts. Equally at home on upright or electric basses both live and in the studio, Simon soon became one of the busiest session bassists in the UK. Simon started releasing electronic music under the pseudonym Monochrome Echo in 2016. So far he has released two full length albums; Nobody Is Looking At You (2018) and I Remember My Dreams (2017) and three EPs (64 Souls, Analog Artifacts and Zebraprint). Simon has produced several solo live-looping albums. An acoustic album [un]plugged was released in 2012. It was preceded by The Knowledge of Things To Come in 2011 and his debut album Mandala in 2010. All Simon’s live looping records are available via Bandcamp and through all major digital retailers. Simon plays Sandberg basses and uses Dunlop Superbright bass strings. An experienced teacher and clinician, Simon occasionally takes on students on both electric and upright basses, providing tuition in a broad range of styles from classical and jazz to funk and rock. Any enquiries regarding teaching can be sent to Simon using the contact page. You can follow Simon’s updates on Twitter if you’re that way inclined… He very much is. Monochrome Echo is on twitter too. Just saying.